In Ireland, when locals speak of travelling to the continent, it's often referred to as "going to Europe." Cork has an international airport, but flight frequency and routing vary greatly depending upon season and world economics. It's fairly easy to find a flight to London and, thence, to the rest of the world, but direct flights are quite limited. This means travel-minded folk do not necessarily find it to be an ideal place to set down roots. 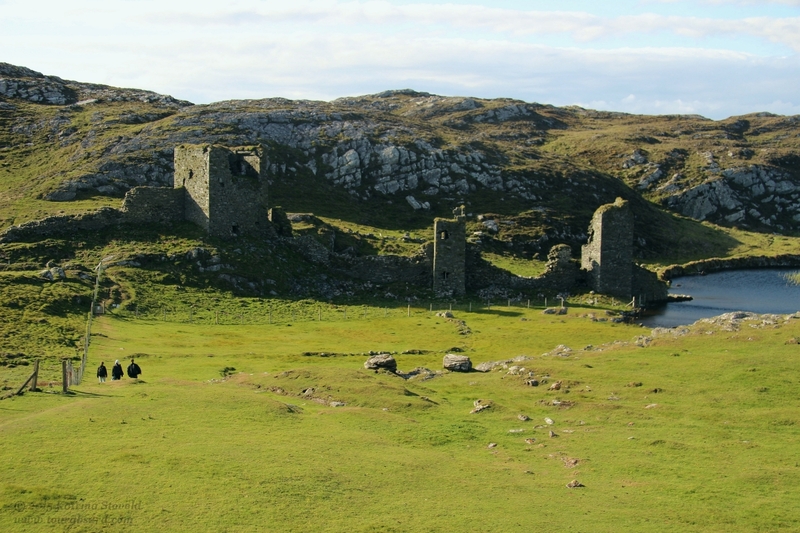 Three Castle Head in Co. Cork, Ireland, visited with three intrepid travel-type friends. In the 5 plus years I've been writing a travel blog, I've had the opportunity to meet and make friends with people all over the world. If I wasn't visiting their country, they were visiting mine, maybe even surfing my couch. I've loved getting to know people with different cultural backgrounds and experiences. Some I've become fast friends with, which has definitely enriched my life (and hopefully theirs). But when you meet people who love visiting different parts of the world, you know what happens? They go off and do it! When I moved to Ireland in 2010, the CouchSurfing website was still functioning as a positive, community-building resource. (Today it's such a mess that I never log on anymore.) Cork boasted a bustling, warm, and welcoming CS group. People got together weekly for pub meetups, BBQs, beach outings, storytelling festivals, and all kinds of random shenanigans. Excepting my classmates, most of my friends here are people I met at CS meetings. Naturally, many of them were and are fans of travel. Today I said goodbye to someone who has become, over the years, one of the best friends I've ever had. Elisabeth and I both arrived in Cork at about the same time, avid CS-ers with a goofy sense of humour, and a willingness to poke fun at our respective nationalities. She's German and, while she does plan trips in meticulous detail – budgets, travel guides festooned with Post-it notes, brushing up on the local language (she speaks, like, 10 or something) – she's almost always running late. And the goofiness? Not at all the stern, fun-averse picture Americans have erroneously formed of Germans. Not having fun at all. No, none, nein. She also speaks a bit of Corkonian, like. Sadly, like the Cork News, Elisabeth has recently ceased trading in Ireland. She's decided to pursue a decade old dream of spending a year travelling. She'll be doing it in a very tailored, personal way that totally suits her. No big rush to See All The Countries and Visit All The Tourist Things, just four places she's wanted to visit for a while: Russia, Brazil, Tanzania, and Turkey. Two to three months in each place, volunteering and/or studying the language. As a travel blogger who truly believes more people should get out of their own countries and travel, I heartily applaud. If more folks would do this, we'd have greater global empathy and increased international friendship. Not to mention, I would never tell someone not to pursue a dream that will make both themselves and the world a better place. But as a friend who will totally miss her, I'm gutted. We travelled around parts of Ireland together whenever she got a hankering to hire a car. She'd happily invite her visiting friends and family, as well as local pals, along for whatever adventure sounded good. 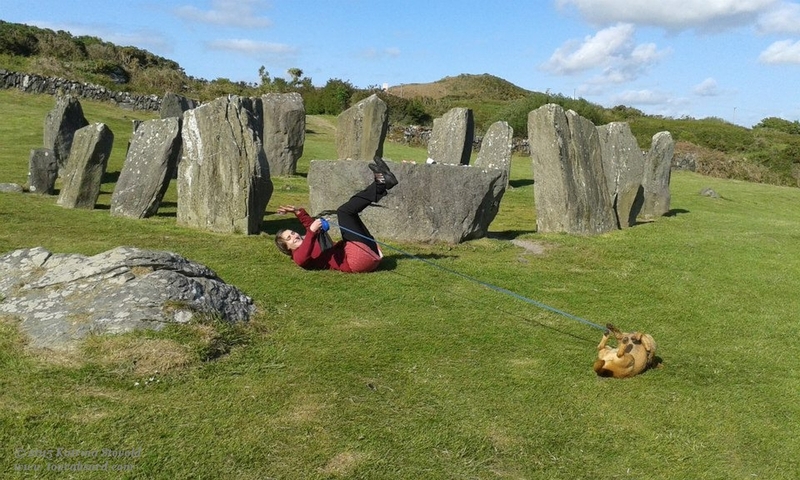 We visited many parts of Cork, Kerry, Wicklow, and even the Burren up in Clare. She loves my doggy and he loves her, so we usually chose pup-friendly destinations where he could run himself silly and enjoy a bit of nature. preparing to travel. "Three priests and a German walk into an airport . . ."
We also ventured out of country and spent some time travelling around Morocco together. Naturally, she made a quick study of Moroccan Arabic before leaving, since her Arabic was learned in Jordan and was ALL WRONG for this part of the world. I told her not to worry overly much, as I was pretty sure the English, Spanish, and French she speaks fluently would get her through any tight spots. (Imagine a droll look on my face as I typed that.) After all, I'd managed to get by on a previous visit speaking only English. Ok, so I had my Moroccan friend, Rachid, with me on that trip. Shush. Just call me Blanche DuBois. Recently, Elisabeth and I went to see Pitch Perfect 2 together. I didn't realise the main nemeses of the film were going to be members of a fictional German a capella group, "Das Sound Machine." I think I actually hid my face in my hands when I realised she was about to get a big dose of the American view of Germans. Fortunately, it was a funny sequence, so no localised conflicts developed there in the cinema. More importantly, we discovered Flula, a German YouTube star featured in the film. He's hilarious and fits well within our respective flavours of goofy. Austerity really didn't work well in Ireland, so a number of my other friends are looking elsewhere for employment. I had wanted to stay put, but now I'm starting to think about leaving, too. I suppose I'm in a good position to do that, really. 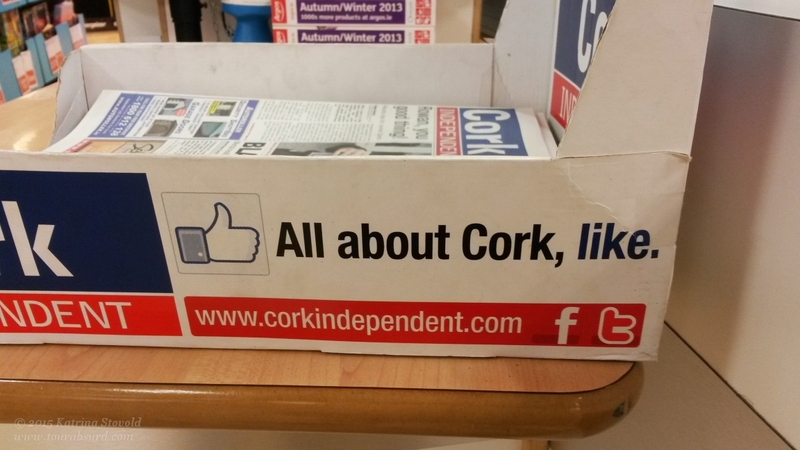 No kids, finishing my degree, EU citizenship… but I thought Cork was going to be my haven. People are what make travel great. The sights and sounds, the flavours, the softness of the beds – yes, they matter. Yet it's people that can turn a travel nightmare into a hilarious adventure, and a quiet cup of tea into a golden memory you cherish for the rest of your days. The great ones are a blessing when they're near and sorely missed when they're not. The best thing is also the worst thing. Have a great trip, Elisabeth. I look forward to your updates. Even more, I look forward to seeing you again. Liked the poodles but I think I’ll pass on the dancing! I didn’t realise that Moroccan arabic is different. I know Egyptians speak the language differently; for example a J is pronounced like a hard G; but otherwise thought it was pretty much a homogenous language. “Three priests and a German walk into an airport” put me in mind of the song “The Priest” by Joni Mitchell from “Ladies of the Canyon”. There are Germans in that too. Thanks for an enjoyable blog, Katrina.